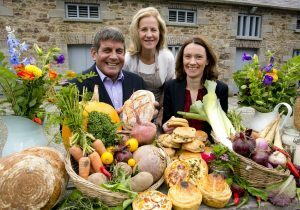 Bord Bia is set to host a series of Farmers’ Market skills training workshops around the country this November to support new and existing members of the food market network. The ‘Skills Training for Selling at Farmers’ workshops, specifically designed by Bord Bia, will provide practical solutions to the challenges most frequently faced by market sellers. Local food producer, farmer and successful stallholder Margaret Hoctor from Kilmullen Farm, Co. Wicklow will deliver the workshops. Margaret, a regular at the Marley Park food market in Dublin, will share her own knowledge and wide experience of she developed the family business through this channel. Food and Farmers’ Markets have experienced considerable growth in recent years. Bord Bia research (2014) identified over 150 food markets in Ireland, including community markets, farmers markets, lunch-time markets, weekend city markets, co-operatives and country markets. They largely share the same common aim, which is to allow producers to sell their produce directly to consumers in a traditional market environment. Bord Bia is planning four practical and interactive half day workshops starting with Limerick on November 8th (The Castletroy Park Hotel), Cork (The Lee Hotel) on November 9th, Galway (Hotel Meyrick) on November 15th and finally Wicklow (Tinakilly House) on November 16th. A €15 charge per person applies and you must register in advance. According to Bord Bia, the workshops will provide as a refresher course for existing stall holders and a helping guide for those starting to trade at farmers’ markets.